Originally called El Toro, Lake Forest is so named because of the two manmade lakes in the city as well as the abundance of eucalyptus trees in the area. Marrying the allure of nature with the conveniences of a modern city, Lake Forest fosters a good work-life balance and is an ideal place to call home. 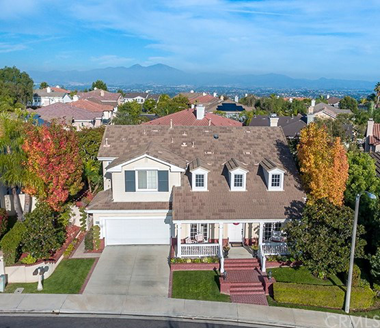 Located in the Saddleback Valley region of south Orange County, Lake Forest is just over 10 miles east from the heart of Irvine and is also mere minutes away from Mission Viejo and Rancho Santa Margarita. The coast, whether the Laguna Beach or Newport Beach area, is only a little more than 20 minutes away. Those planning to move here will be glad to know that the city has long enjoyed a robust job market. Key industries include healthcare and medical manufacturing, apparel, technology, and printing. The metal industry and tech companies are among the main employers in the city, along with the tourism industry. Lake Forest has 16 elementary and public schools, including Foothill Ranch Elementary School and Trabuco Hills High School – the top-rated schools in the city. Residents also have access to some of the country’s most prestigious universities, including UC Irvine, Pepperdine University’s graduate campus, and the California State University at Fullerton, among others. While you can’t go wrong with any of the communities in Lake Forest, the most coveted ones are those that sit on the banks of the two man-made lakes. These lakeside communities feature upscale condominiums and luxurious custom homes as well as stunning lakeside views, a mature canopy of eucalyptus trees, and access to the Lake Forest Beach and Tennis Club and the Sun and Sail Club. Neighborhoods in the city include Baker Ranch, Rancho Serrano, Rancho de los Alisos, Lake Forest, El Toro, and Serrano Highlands. Given the range of properties available, home prices vary greatly. Condos, for example, typically list in the low six figures; single-detached homes, meanwhile, can cost anywhere from the high six figures to the low sevens. Home styles vary, with some boasting Mediterranean-inspired architecture and others featuring more contemporary designs. Home sizes range from about 600 square feet for condos and over 3,800 square feet for homes. Sporty types are sure to love this 86.2-acre complex, which is one of the largest of its kind in the county. It features sports fields, a gymnasium, activity centers, and many recreational programs. A 4,500-acre preserve where you can enjoy camping, picnics, hiking, and other exciting outdoor activities. Extending across 40,000 sq. ft., Etnies is the largest public skatepark in California. It hosts skate camps, contests, and various other events. Lake Forest also has two county parks that allow residents to commune with nature. There’s the Whiting Ranch Wilderness Park in the eastern part of the city, which has some 17 miles of trails for visitors to explore. Then there’s the Heritage Hill Historical Park and Museum, home to quite a few of Orange County’s oldest buildings.